Ian McMillan presents Radio 3's 'Cabaret of the Word' with guests Lynne Truss - on writing a novel in the voice of a cat, Irna Qureshi on speaking Bradford Asian English, Nicholas Royle on books he has almost given away, and the singer Nancy Elizabeth. Lynne Truss is a writer, journalist, sometimes radio presenter, and has been described as a professional pedant. Best known for her book Eat, Shoots & Leaves: The Zero Tolerance Approach to Punctuation, her latest offering, ‘Cat Out of Hell’ (Hammer) poses the question, are cats potentially evil? The narrator of the book discovers that Roger, the cat, is not just any cat, he is in fact Roger the evil talking cat. Irna Qureshi is a writer, researcher, and anthropologist of British Asian culture. She blogs for the Guardian, writing about arts, heritage and social issues - all from the ethnic minority perspective. Using oral history, Irna has curated several national touring exhibitions and publications which explore Britain's South Asian communities. Folk singer-songwriter Nancy Elizabeth has released her third album Dancing on The Leaf Label. Since her first release back in 2006 Nancy has gone on a journey that has taken her from a derelict church in Mexico, to caves in Italy, to run down pubs in Paris and finally to a small flat in Manchester where ‘Dancing’ was recorded. With seven novels, two novellas and a short story collection to his name, Nicholas Royle is also a senior lecturer in creative writing at Manchester Metropolitan University and sits on the panel of the Manchester Fiction Prize. 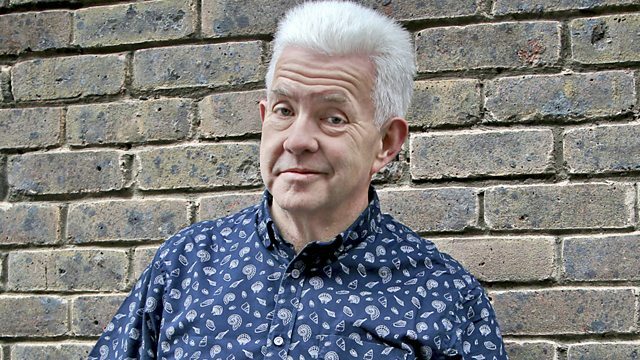 He takes Ian Mcmillan on a virtual tour of his bookshelf, explaining which books he thinks about giving away, and why he can’t quite bring himself to take them to the charity shop. His new novel is ‘First Novel’ (Vintage ). A season of Poetry and Performance from Hull. Explore the BBC Arts website and discover the best of British art and culture. Listen to programmes, poetry readings and commentary from Radio 3's Dylan Thomas Day.